Yeşim Aksan is Professor of Linguistics in the Department of English Language and Literature, at Mersin University. She has published widely in the fields of Turkish semantics, cognitive linguistics and corpus linguistics. She is the author of “A Frequency Dictionary of Turkish” published by Routledge in 2017. She is also the co-editor of the book “Exploring (Im)politeness in Specialized and General Corpora” by Cambridge Scholar Publishing in 2015. Mustafa Aksan is Professor of Linguistics in the Department of English Language and Literature, at Mersin University. He has published widely in the fields of Turkish morphology, syntax, semantics, cognitive linguistics and corpus linguistics. He is one of the authors of “A Frequency Dictionary of Turkish” published by Routledge in 2017. 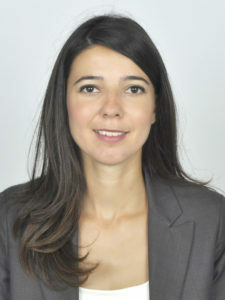 Selma Ayşe Özel is Professor of Computer Engineering in the Department of Computer Engineering, at Çukurova University. Her research interests include natural language processing, text mining, data mining, database systems, information retrieval systems, nature inspired computing and their applications to problem solving in several disciplines. She has published more than 50 scientific papers in international and national journals/conferences in the fields of her research interests. He is working in the IT Department of Çukurova University as a Software Engineer. He started his PhD Education in Çukurova University Computer Engineering Department in 2013. His studies are mainly on Data Mining. 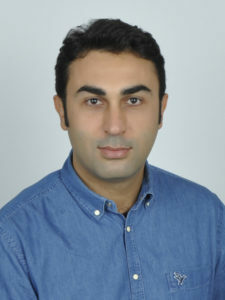 Yasin Bektaş graduated from Mersin University Computer Engineering Department in 2003. 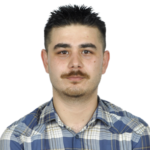 He has been working in the Vocational School of Erdemli, Mersin University as Lecturer since 2008. He started his PhD Education in Computer Engineering Department in 2012. His studies are mainly on Web Mining, Information Retrieval ve Machine Learning. His programming skills are primarily on Html, Java, Php and Mysql. Ümit Mersinli graduated from English Language and Literature Department in 2002. He had his MA degree in 2010 in the Foreign Language Teaching Department. He is currently a PhD Candidate in English Linguistics Department and works as a Lecturer in Mersin University School of Foreign Languages. His research areas are corpus linguistics and Turkish morphology and phraseology. 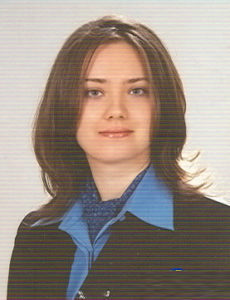 Gülsüm Atasoy graduated from Mersin University Linguistics Department in 2008. She had her MA degree in 2011. She’s been working as a Research Assistant in the same department since 2009. Her research interests are corpus linguistics and Turkish morphology. Umut Demirhan graduated from Mersin University, Linguistics Department in 2007. He worked as MCSE trainer and instructor of Technical English. He is a PhD student in Linguistics, and currently working as a research assistant at Mersin University, Department of English Language and Literature. His main areas of interest are corpus linguistics and new trends in computational linguistics.